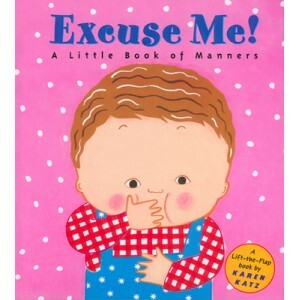 A Matter of Manners | Y'all Behave! ← Bite Me!…No, Wait! Don’t! Having grown up in a household where manners were next to godliness, I am constantly trying ingratiate manners into the habits and behaviors of my young charges. 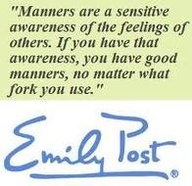 Manners, when introduced and reinforced become second nature, a reflex. 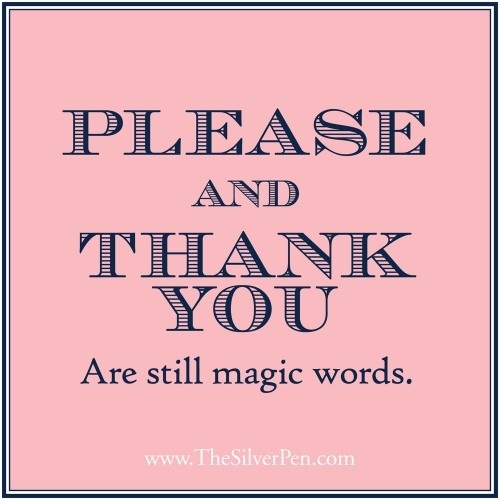 It’s important to get those pleases and thank yous started early. 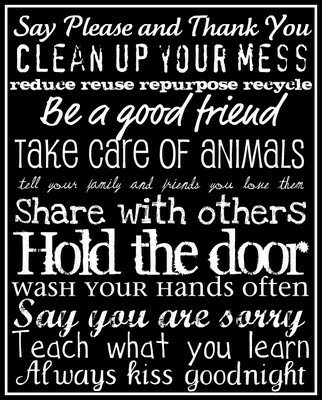 It’s not about impressing people, it’s about raising conscientious children who will be considerate friends and partners to people in the future. First impressions are lasting ones. No one ever complained about a child being too polite. My folks, my mama especially, were very adamant that my siblings and I show our gratitude at every opportunity and in fact, we had a mantra to be said post birthday party or other hosted event. Before departing, we would find the adult host/hostess, stick out our right hand to shake and say, “Thank you for inviting me, I had a very nice time.” Until this sentence was spoken to the appropriate person, we were not to leave the party. Upon receiving a gift we already had, we knew to pretend we didn’t already have the toy/book or express our appreciation regardless. My patented response to this situation was to say “A book so nice, I’ll read it twice!” We were also taught to write thank you notes before cashing birthday/communion/graduation checks, and before using gifts. It was important for us to realize that if people could take the time to pick out, purchase, and wrap a gift, the least we could do is write out a thank you note. With Mr. Man and Big Cat I instituted what I called “Gentleman Time”. When we would approach a door, I would say “Gentleman Time!” and one or both would try to get to the door quickly to open it. If there were two doors they could take turns, though it usually became a competition, which i think helped instill in them the urgency of being polite. If they keep up with “Gentleman Time” on their own time, I have no doubt they will be known for their chivalry! 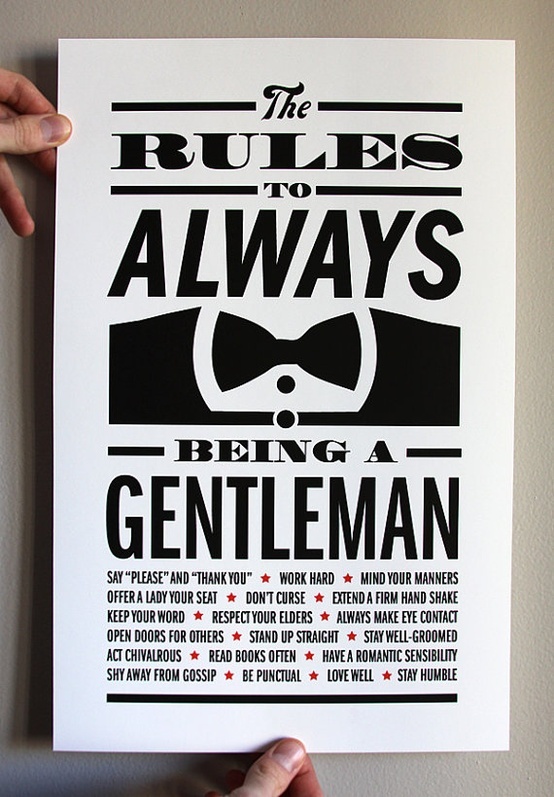 I know I’ve been blessed with very gentlemanly men in my own life. Of my brother-in-law, Max, my mama always says, “You have to be walking pretty darn fast to open a door before Max!” Very true. He, my dad, and my brother Buddy are all such incredible gentlemen, and so in my future man I kept the quality of gentleman in mind, very happy to find that my fiancé Luke is an amazingly thoughtful and conscientious gentleman, always thinking of my safety, comfort, happiness, before his own. I want the boys I nanny for to grow up to be gentlemen and the girls I nanny to grow up to be gracious and thankful of such treatment and reciprocal in their manners as well. I know how much it means to my girlfriends and I when our male friends are mannerly. Our pal Kyle would wait after dropping us off at our abodes until we safely made it inside before departing, and displayed very gentlemanly behavior at all times, it’s something you remember and appreciate about a person. Thank you, Kyle! 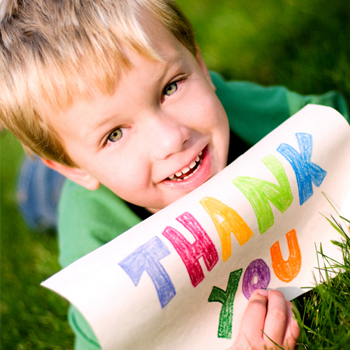 With the little ones, I start small, encouraging the pleases and thank yous. 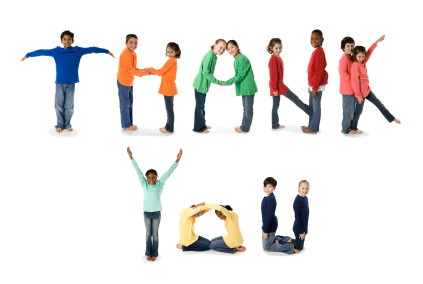 When a child asks for something, “Miss Cheryl, can I have more fruit?” without pomp or circumstance I simply ask, “What word is missing from that sentence?” to which they immediately add, “Please?”; on the Thank You front, after handing a child something and getting no gratitude, I ask, “What do you say?” the reply another learned, “Thank you!” Putting the option of manners to kiddos as a query, rather than a repeated command makes the process become more of a participant activity, like a guessing game rather than a direction followed. Every time the kiddos use their manners (it’s the same concept as writing spelling words several times) they learn by doing, practice makes permanent! With my charges, it’s easy to tell which parents enforce manners consistently, Rebel at 2 has hands-down the best manners I have ever seen, pleases and thank yous abound, and the manner with which he says them assures you of his sincerity and appreciation. I’m constantly wowed! He reminds me of a couple of children I babysat for in high school/college, the younger siblings of the aforementioned M & M, we’ll call them M3(brother) and M4(sister). I took them to the Aquarium one day, and while finding our seats for one of the marine life shows, M3 helped M4 to find her seat, and assisted her in sitting down, making sure that she was comfortable, before himself taking his seat. Other times, like at meals, M4 would ask courteously ask M3 for a food item, and after he passed it she would thank him genuinely, often patting his hand. Such adorable exchanges always stick out in my mind when I’m helping current charges use their manners, especially with each other. 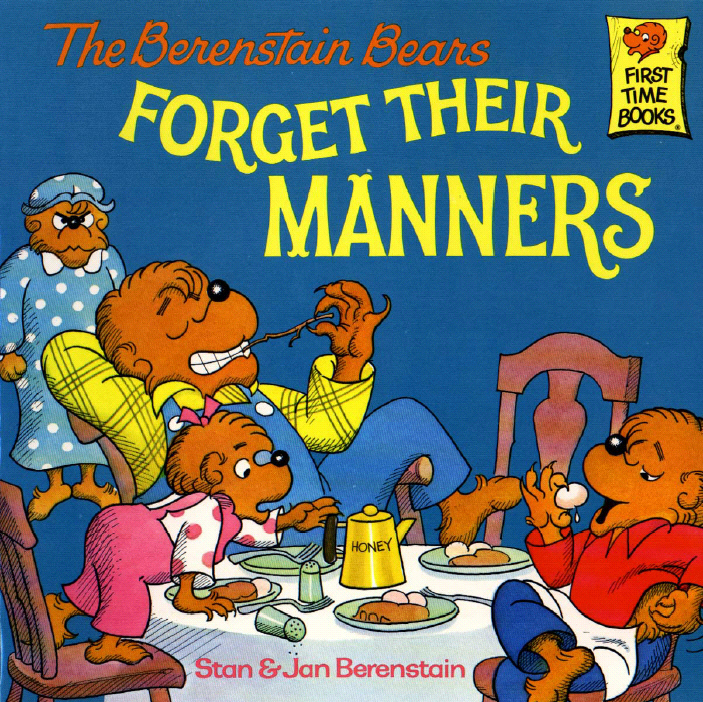 I incorporate manners in my nannying to help my charges be good guests and gracious hosts/hostesses in the future; when a kiddo goes to a pal’s house, I want him/her to lead with politeness, the new acquaintance seeing his/her manners as an extension of his/her great little personality, and the parents noting a well-mannered, thoughtful young person. As a nanny, I keep manners as a high priority as part of what I hope to impart to the kiddos, but as a woman, my appreciation for people with manners is based on my desire for a mutual respect society and a general climate of consideration. After spending the majority of my days opening doors, cleaning up after kiddos, concerning myself with the well-being of others, I appreciate a gentlemanly opening of the door more than most. To mothers, fathers, caregivers everywhere who raise their children to raise the bar when it comes to common courtesy, a big “THANK YOU!” from Miss Cheryl!